Suzie is a member of the Complementary Therapists Association(CThA). 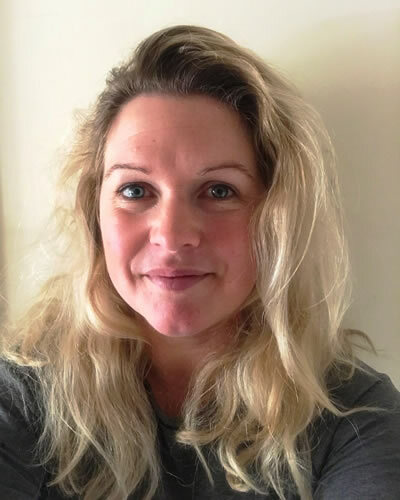 She qualified with a Level 3 Diploma in Sports Massage and Swedish Massage from Loughborough College, where she worked with athletes and professional sports people. Since then, she has treated clients in a range of settings in the UK and Europe, including Osteopathy clinics, and also as a mobile therapist. Suzie firmly believes massage is an important part of staying healthy, relaxed and strong, mentally and physically. She likes to incorporate all her skills to provide a thorough treatment, whether for a specific problem area, or a relaxation massage. Her approach is friendly, positive and professional. She works with you to devise an appropriate treatment plan to meet your needs. Her aims are to improve, release and resolve your pain, aid recovery, and get you back on the road to a happier, healthier you! Suzie plans to add to her skills by training in Pregnancy Massage and Hot Stone Massage. She also hopes to qualify in Baby Massage, and go on to teach parents how to massage their babies, reinforcing their bond, providing comfort, and creating a happy relaxed time for them together. Suzie enjoys being outside with her family and the dog, having adventures. She loves to be in the mountains or under the ocean, and is passionate about trying to protect the world around us.